A young girl is raised by her grandmother after being abandoned by her hot-headed, guy chasing mother. After reaching puberty, her Bible-toting grandmother sees her granddaughter following in her mother's footsteps. The puberty stricken teen is now an adult, struggling to survive with many failed relationships, no hope, and thinking love means staying draped and laced in the finest clothing and jewelry. Growing up being a disappointment to her mother and grandmother she discovered that she could please men with her jewel she possessed below. After that, she found pleasure in being a pleaser. After encountering a down-home Bible-toting guy like her grandmother, she takes to him after finding herself once again on the streets. He takes her in and loves her. But she doesn't appreciate the love because he couldn't afford to give her the love she was used to. She finds herself back in the game and becoming unfaithful to her newfound love. 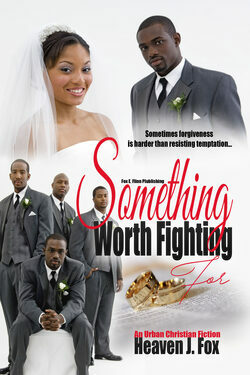 Deacon Ross has been celibate for five years and had no problem fighting temptation until he met Karalee. He'd do anything at all to get her and give everything he had to keep her. The problem was, he had a difficult time leaving and cleaving and she had a hard time remaining faithful. Ross had to muster up a lot of faith and forgiveness in order to fight for Karalee. Who says you can't turn a stripper into a housewife? With a little patience and a whole lot of forgiveness, anything is possible, but with God, ALL things are possible.